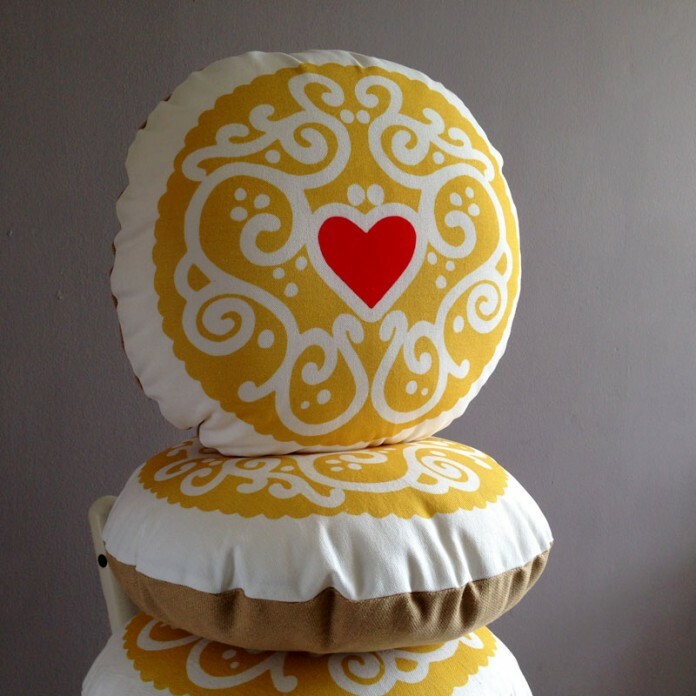 The last week has been an exciting one for us at Biscuit HQ- with the launch of our 2014 Jammy Heart cushion! 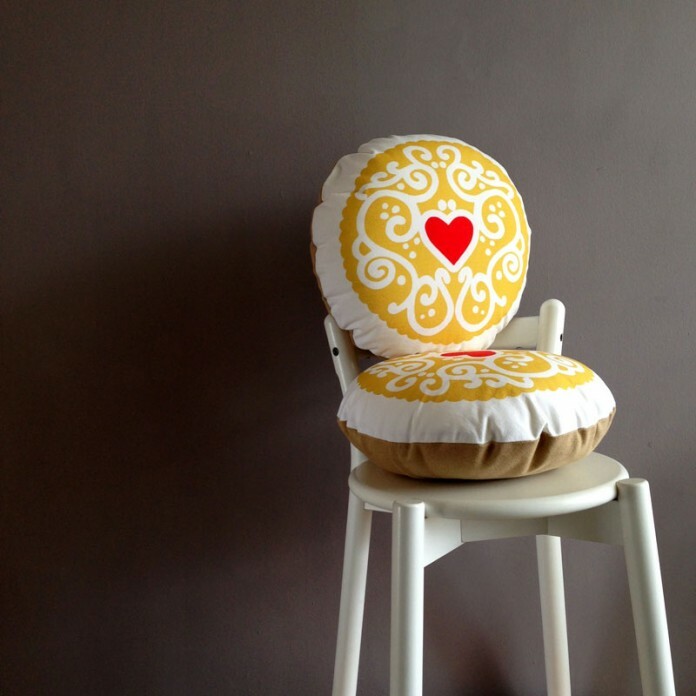 The new design’s baroque twirls are printed in a bold honey yellow, with it’s jammy heart in a bright cherry red. Each of our cushions continue to be made in our workshop in Scotland using the best cottons & linens- and we’ve been kept busy with orders for our new addition this week! Our 2014 Jammy Hearts are available in our online store.